If any of you have been living under a rock lately, maybe you haven’t heard that Deathwing came and shook the foundations of Azeroth. The world has changed and the change is predominantly good. 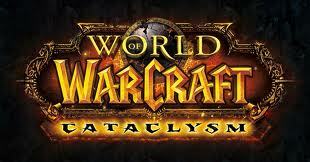 I’m talking about the new World of Warcraft expansion: Cataclysm. Although it doesn’t come out until December 7th, Blizzard pre-patched the world last week so that everyone now lives in the world post-Deathwing. Almost all of the quests in the game from levels 1-60 have been redone. Many are simply brand new, while others have had their narratives touched up and a few of their progression points adjusted to be more seamless. One of these new quests is found in the Badlands, a somewhat desolate place with an environment similar to Mars or Arizona. In this new quest, the player meets a trio of gentleman hanging out by a fire on a small hill overlooking a vast furrow carved into the earth. What happened here? Each member of the trio tells his version of the story: The Day that Deathwing Came. The quest has many things going for it, not least of all, good old Blizzard humor. If for nothing else, go take a character through it for the laughs. 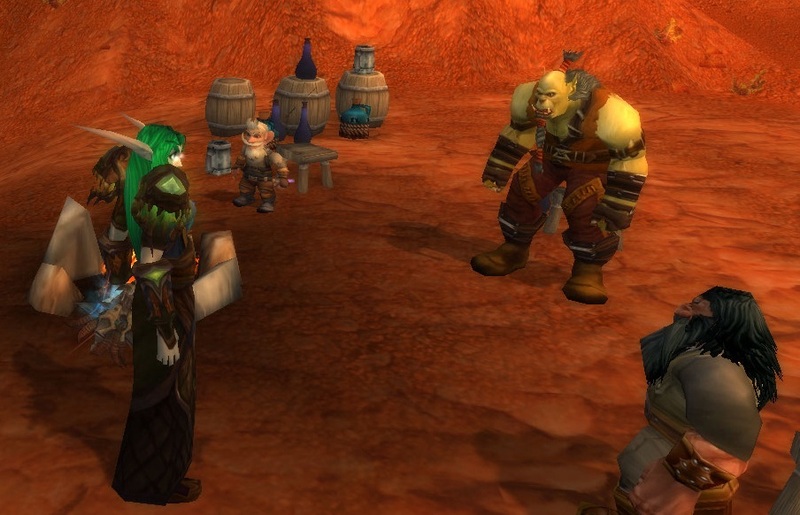 Aside from the pure happiness I got from playing through it, I also started to think about how Blizzard is telling stories in this new version of Azeroth. What really happened that day when Deathwing came? This is not a post about how social games are changing the meaning of games nor about how simple and capitalist they are. Rather, it is a post about how one new feature added to an already existent and stable game can dramatically affect if not completely change the way its players…play. Last week, Zynga introduced a new feature into Farmville, that little darling of Facebook investors everywhere. This new feature is called “Co-op Farming”. Oh, how fun! I get to farm things with my friends! Or that’s what everyone thought. Now, that sounds fine right? And not too game-changing. You plant crops, you harvest them, you get coins and you get XP. Sure, it’s exactly the same game except that players used to farm things based on other criteria. The game hasn’t changed – the play has. A week ago, a player’s decisions were based on personal priority. Either they like planting flowers because they can decorate with them, or perhaps they like planting vegetables so they can earn mastery signs. Maybe they want to plant 2-hour crops or maybe they want to plant 2-day crops because they won’t be back to a computer for awhile. Decision-making in the game has been completely changed by this new “Co-op” feature. Now, all planting decisions are dictated by the arbitrary needs of your work order (there are only four different work orders in the game). Instead of making designs in fields with different crops and colors, all one can see now is row upon row of pattypan squash. Why does this feature, which is strikingly familiar to a very basic quest, change so much about how players play? Why does this change what is fun? It is as if a dictated goal automatically trumps anything else that used to be enjoyable. Ooo, red tulips. NOOOOO. YOU MUST PLANT PATTYPAN SQUASH. 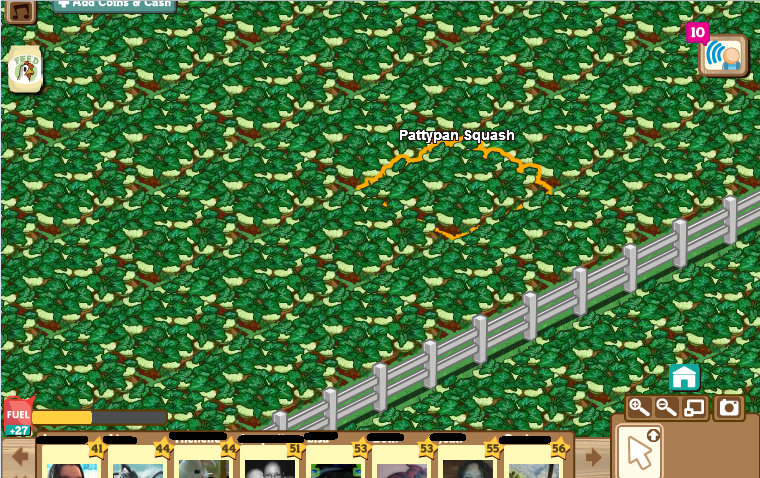 Instead of farms in revolution crying out for tulips, we have fields and fields and fields of squash. They’re not revolting because they are still free. They could plant all the red tulips they want if they wanted to. But they don’t. The squash has conquered. Tulip season is over.